The loophole in Section 23 of the Act has been cited by MACC deputy chief commissioner (operations) Mohd Shukri Abdull as a hindrance to investigating Sarawak Chief Minister Abdul Taib Mahmud, despite his son having allegedly benefited from state contracts. “It is time for us to review the Malaysian Anti-Corruption Commission Act 2009. There are Acts that should be amended to enable this panel to be able to reduce corruption seriously,” said Radzi in an interview with Malay daily Sinar Harian published today. The Kangar MP pointed out that under Section 23, action cannot be taken against an office-bearer if he is absent from a meeting that approves a contract to his crony. “As an example, to secure a project, he knows the laws state that he cannot be in the meeting if his crony applies for the project. “He will tell the members or participants of the meeting beforehand things like ‘please take a look at this application’. Eventually the crony is selected but he has not breached Section 23 of the Malaysian Anti-Corruption Commission Act 2009,” he said. Radzi (right in photo) said the bi-partisan PSC has agreed that the act should be amended and an independent committee should be established to evaluate the situation if such a case occurs. Amendment should also be done for Section 36 of the same Act which is related to the wealth and lifestyle of a person, said Radzi. “MACC has no power to know from where a person has amassed tremendous wealth which is beyond his position and job. “For three years since the MACC was established, this Act has its weakness and needs to be improved to strengthen the MACC’s power to make it more productive and relevant. “If the Act is amended, anyone suspected to have unusual wealth would have to explain to the MACC,” he explained. Radzi also revealed that Prime Minister Najib Abdul Razak has given the green light to the proposal to establish an Anti-Corruption Service Commission which would give the MACC the power to filter, choose, interview, appoint and sack their own staff. Currently MACC’s human resources is under the purview of the Public Services Commission, the same as all other government agencies except the police force and teachers which have their own service commissions. In February this year, Najib has offered an election promise that should BN regain a two-thirds parliamentary majority in the next general election, the MACC will be given more independence including its own service commission. “But this issue needs a constitutional amendment. God willing if BN is given a two-thirds mandate in the coming 13th general election, the constitutional amendment will be carried out and this service commission will be formed,” he announced while officially opening the Certified Integrity Officer Programme at Putrajaya. The basis for arguing whether non-Muslims can use the word ‘Allah’ to refer to God must rest on its context, etymology, and the relevant laws surrounding it. Political expediency should not and must not dominate the debate. Too much is at stake for it touches on the very heart, soul, and spirit of one’s belief and faith regardless of what one believes. I, therefore, urge those with differing viewpoints to exercise restraint, tolerance and goodwill. We must be reminded that we are indeed treading on Holy ground. I also call on both the ruling coalition and the opposition to agree to a common moratorium not to use the Allah or Alkitab issue as political posturing for the forthcoming 13th General Elections. This is not to suggest that we must avoid discussing it at the appropriate forum. Ten percent or slightly over two million of the population in Malaysia are Christians. Of this, about two thirds are Malay speaking bumiputra Christians mainly in Sabah and Sarawak. They rely on the Malay language or Indonesian Bible known as the Alkitab, which uses the word ‘Allah’ to refer to God. The word is of Arabic origin, which predates Islam. Christians of other ethnic communities like the Ibans in Sarawak refer to God as ‘Allah Taala’ or God Most High in their Bible known as the Bup Kudus. Our Sikh brothers and sisters too use the word ‘Allah’ in their Holy Scriptures to refer to God. But not all Christians use the word Allah to refer to God. They use appropriate words for it. For the English language Bible, the word, needless to say is ‘God’ and not ‘Allah.’ Likewise, the Chinese and Tamil Bibles use other words and not ‘Allah’ that are theologically appropriate and significant. The context of the Malay-speaking world using the word ‘Allah’ to refer to God rests on its etymology or the historical development of it. The first portion of Christian Scriptures translated into Malay was done in Indonesia for the Gospel of Matthew in 1612, four hundred years ago! This was one year after the authorised version of the Bible was translated into English known as the King James Version (KJV). The Malay translation was also the first non-European language translation of the Bible. Surely we can treasure this rare heritage as Malaysians. Some have suggested that this is an East Malaysian problem and therefore the word ‘Allah’ can be used here while over in the peninsula, the word should be ‘Tuhan’. This proposition is misplaced as it suggests we have two Malaysias instead of 1Malaysia. This is dangerous for national unity. We must also remember there are tens of thousands of East Malaysian Christians working in the peninsula as well as Orang Asli. Do we want to deny them their constitutional right to refer to God as Allah as they do back home? East Malaysian Christians have been using ‘Allah’ to refer to God for generations. This has never caused confusion among Muslims before or after the formation of Malaysia in 1963. Why should this cause confusion now after half a century? Our Rukunegara uses ‘Tuhan’ and not ‘Allah’ to refer to God just like the Indonesian Pancasila. In terms of common usage, this is a reasonable expression. However, in the Biblical context, the word ‘Tuhan’ refers to Lord and not God or Allah. It is, therefore, not acceptable to ask Christians to switch the two words and take them to mean what they do not mean in their liturgy and worship. One cannot force someone of another religion to change words in their Holy Scriptures simply to satisfy believers of another religion. This is wholly untenable. It was three years ago on 31 Dec 2009, that the Kuala Lumpur High Court ruled in favour of the Titular Roman Catholic Archbishop of Kuala Lumpur, who is the publisher of Herald, that even though Islam is the religion of the Federation, this does not empower the government to prohibit the use of the word ‘Allah’ in the Malay edition of the Herald. It also found that the word Allah was not exclusive to Muslims. It must be noted that the said High Court decision was a decision made in the light of our religious rights enshrined in the Federal Constitution. The Government has appealed against this decision and the Court of appeal is yet to rule on the matter. But for now, the High Court has spoken clearly on the issue and in the circumstances, we should respect our legal system and allow the law to take its course. A BN state assemblyperson has denied PKR's allegation that the ruling coalition and the Orang Asli Development Department (Jakoa) has been holding “training sessions” to guide the Orang Asli voters in Tapah, Perak to vote BN. Ayer Kuning assemblyperson and Tapah BN chairperson Samsudin Abu Hassan told Malay daily Sinar Harian that the programme, organised by his division, was to teach the Orang Asli voters the correct way to cast their ballots. He explained that it was done after they found a high the number of spoilt votes among Orang Asli voters in the last general election. “We never force anybody to vote BN. It is their rights to vote whoever they want. We only taught them the way to mark and cast ballots correctly. “If they (PKR) want to do it, it is up to them. It is their right and we think we are being responsible by guiding them on the correct way,” he was quoted as saying. Samsudin also admitted that 5kg of rice was given to each Orang Asli voter, but argued that it was not a vote fishing exercise. Instead the free rice was an ordinary aid to the underprivileged, including Orang Asli and ordinary people, he stressed. “The rice gift was not to fish for votes because we have been giving them assistance to alleviate their burden. “PKR does not have to be afraid. They also can give. Nobody would stop them,” he added. Yesterday, Perak Pakatan Rakyat claimed that the programme, organised by Jakoa and an elected representative, was conducted in a series last month in all Orang Asli villages along Jalan Pahang in Tapah to “train” the local Orang Asli to vote for BN. Participants were given two pieces of paper, which looked like mock ballot papers for the Tapah parliamentary constituency and Chenderiang state constituency, and were then “forced” to vote BN in front of a Jakoa officer and the elected representative, according to Pakatan. They also alleged that those who voted BN on both the mock ballot papers were then rewarded with 5kg of rice. Pakatan said this contravenes Section 9 of the Election Offences Act 1954 which deals with interference in the free exercise of a person’s electoral right. They also argued that printing a mock ballot paper breaches Section 3(j) of the same Act. Malaysiakini has been making attempts to contact Tapah Jakoa for comments since yesterday. Pakatan is planning a pre-rally gathering in Kuala Lumpur on the eve of their Jan 12 Himpunan Kebangkitan Rakyat (People's Uprising Rally) to be held at the iconic Merdeka Stadium. Dubbed the Rapat Kemuncak Mengira Detik (Ultimate Countdown Gathering), the event will take place from 5pm onwards at the Sultan Sulaiman Club field in Kampung Baru, Kuala Lumpur. Pakatan leaders Anwar Ibrahim, Abdul Hadi Awang, Nik Abdul Aziz Nik Mat, Lim Guan Eng, Mohamad Sabu and others are expected to speak, with former popular rock band star turned religious motivator Azhar Mohd Idrus due to make an appearance in the afternoon along with other entertainers. "Other than arts activists who are often with us, we will also feature performances from well-known artists," organiser Adam Adli told Malaysiakini. He related that the gathering, expected to gather thousands of Pakatan supporters, will also showcase testimonies by "the oppressed rakyat" airing their grouses. "(It is the) rakyat's stage to start off the festive mood and highlight the rakyat's demands, he added. The Jan 11 gathering, he said, will be the arena of celebration for participants of the People's Uprising Rally. Malaysian Communications and Multimedia Commission’s (MCMC) announcement yesterday that the RM200 rebate is only applicable to smartphones priced below RM500 has kicked up a storm of criticism on cyberspace. MCMC yesterday announced on their website five specific criteria for the RM200 rebate on smartphones, including the RM500 price cap for the smartphones. One blogger Pradeesh raised his concerns on the matter in his blog post yesterday, saying that the RM500- smartphones are "pretty much weak and cheap" and that the price limit of the smartphones should be raised to RM1,000. He complained that such phones are mostly outdated versions of Android with unsatisfactory touch screens. Pradeesh suggested that Malaysia should come up with its own smartphones especially for the rebate program by pairing up with a manufacturer to create it. "Frankly speaking, I would love to see a phone which is made in Malaysia… We can have more local tailored applications and local developers may have an option of having their application being hosted in 1Malaysia App Store (suppose if it exists)," he posted. Twittersphere has also been aflurry with criticism and jokes for example through hashtag #1MsiaPhone and #PakejKomunikasiBelia, especially on the RM500 cap. William Lee: Only pre-approved devices costing under RM500; what brand can you get? Even a Samsung Mini2 sells for more than RM500. Al-Hafiz Ahamd: The Youth Communications Package is only for smartphones priced RM500 and below; what phones are you going to buy with that? The Blackberry is not a smartphone, I’m sorry. Asyraf ‘TPK’ Fadzlee: Youths' hopes of getting a SGS3 or iPhone 5 were crushed to bits when the conditions of the Youth Communications Package was released. Do you want a Curve 8520? Don’t worry kids… we still have more smartphones under RM500 such as CSL, Huawei, eh wait, HTC and BB (Blackberry) are budget- friendly too. Effi Obefiend: A RM500 smartphone… is that the price limit? It’s obvious that the policy makers of the Youth Communication Package have a Blackberry agenda. The 1Malaysia phone probably comes with all the phone numbers of Jabatan Menteri (the ministries) and your local MPs. This is actually a good feature that is beneficial. But you cannot install anti-Automated Enforcement System (AES) applications because this is against government policy. Awang Ilyas: In other news, Blackberry stocks traded slightly higher today due to the announcement of Youth Communications Package. Luqman the Human: 1Malaysia Phone would have a special app (application) where you can paste photos of (prime minister) Najib (Razak) and (prime minister's wife) Rosmah onto your photos to make it look cooler. Mohd.rabbani.afiq: With the 1Malaysia phone, if you set up a Twitter account you will automatically be set to follow Najib Razak’s Twitter. Muhd Shafiq Hassim: The ringtone: Umno song, the default wallpaper: Najib’s photo, available colours will be red, blue, yellow and white only. Chan Chun Yeen: If you apply the filter in Instagram on 1Malaysia phone, Rosmah will appear in the middle of the photo no matter what. Shibli Nuqman: If one were to watch (PKR de-facto leader) Anwar Ibrahim’s talk using the smartphone, then a warning message will be displayed saying that the RM200 rebate will be retracted. Please pay at the nearest post office. Toon Seri Anthraxxxx: If all ministers have to use the Proton Perdana during (former PM) Dr Mahathir’s time, then all ministers have to use 1Malaysia phones during Jibby’s (Najib’s) 1Malaysia reign. Ikhwan Nazri: After five years of development 1Malaysia Phone will collaborate with Proton and Perodua to produce logarithm for cars to evade potholes. RAM: (The phones should have) an auto diall the cops facility when it senses bad texting about Umno or BN government. MohdFikhriUjang: The 1Malaysia phone will auto-correct all SMS into sensational newspaper headlines. Syed Azral Salim: The 1Malaysia phone will be certified halal by Jakim. Erin Mohamed: You must shout Rosmah to unlock the phone. Ong Boon Piow: What smartphone can you buy with RM500? A Galaxy Jib or iRosmah? Get an iRosmah to receive the RM200 rebate. This is really a stupid year-end idea exclusive from BN. ONE of the most flabbergasting initiatives unveiled by Datuk Seri Najib Tun Razak (pic), Malaysia’s Prime Minister and Finance Minister, in his proposed national budget, was a rebate of RM200 (US$65) for youths to purchase a 3G smartphone. The criteria for which a Malaysian youth can qualify for the smartphone rebate is listed in the Malaysian Communications and Multimedia Commission (MCMC) website in a PDF file here or click the accompanying picture on the left. DEC 28 ― I was reminded of the witticism on politicians that “we hang the petty thieves but elect the great ones to office” when I read Dr Mahathir Mohamad’s claim in his blog that the Chinese (and Indians) are the real masters of the country. Specifically, he wrote that “Because they (the Malays) are willing to share their country with other races, the race from the older civilisation of more than 4,000 years and who are more successful, as such today whatever they have now is also being taken away from them”. As election day approaches, this line of argument is being rehashed. We can expect more of this race baiting by Dr Mahathir and his kind in Umno and PEMUDA when they are addressing Malay voters. Of course, this rehashing will take on new permutations such as “the PKR and PAS are selling out the rights of the Malays” or “the DAP is really the dayang master pulling the strings of the Pakatan coalition”. What is important is not to get angry or remain silent but to refute it with facts, figures and arguments. For Dr Mahathir to accuse the Chinese of being the real masters of the country is really the height of political idiocy. If we want to go by racial perception, it would appear to everyone that Malays dominate in every sphere of life in the country. They form the majority in Parliament, judiciary, army and police, the MACC and all other important political bodies. In the socio-economic and educational sphere, they control all the major banks except for Public Bank, the GLCs, Petronas, public universities, civil service, etc. Any Chinese or orang putih wanting to do business has to kowtow to the Malays for licences and permits. Moreover, Malay businesses control some of the monopolies such as water, electricity, toll roads, etc. where it is so easy for them to make more profits by just increasing the price. Even the richest and most powerful Chinese and Indians such as Robert Kuok, Ananda Krishna, Tony Fernandez, Vincent Tan and others are completely at the mercy of the Malays if they want to do business in Malaysia. But let’s not go by simplistic perception. The indisputable fact is that the real masters of the country are the Umno-led Barisan Nasional, which has ruled Malays and Malaysia for over 55 years. During that period, Dr Mahathir as prime minister was the undisputed number one man. He changed the country’s constitution and laws; sent his political opponents into prison or oblivion; singlehandedly undermined the judiciary; and put the clock and our time back to ensure that we would all wake up an hour earlier. He even took on the most sacrosanct of Malay institutions ― the Sultanate ― by reducing the authority of Malay rulers. Dr Mahathir also controlled and manipulated the country’s purse strings. His financial leadership of the country have left an indelible black mark on the country’s economic and financial fortunes. First, he made the key decisions on economic white elephants and scandals such as Proton, Bakun Dam, Putrajaya, and Perwaja. The last resulted in a loss of RM2.6 billion. Dr Mahathir himself has admitted publicly in 2002 in a dialogue with Malaysians in London that the loss could have been as much as RM10 billion due to possible misappropriation of funds. The mother of all financial scandals took place during Dr Mahathir’s time. This was the forex losses incurred by Bank Negara’s speculative currency trading which cost us over RM50 billion. The second outcome was the plague of privatization he inflicted on the country. A devoted fan of Margaret Thatcher, Dr Mahathir pursued privatization of telecommunications, utilities, airlines and other public sectors and services with a vengeance. But he lacked the British premier’s caution and acumen and closed both eyes to the leakages and abuses that accompanied the privatization programme. Dr Mahathir can be considered to be the godfather of the class of capitalist cronies that has cornered much of the country’s wealth and who, together with Umno/Barisan, are the undisputed masters of the wealth of Malaysia. These big time tycoons comprise of many Chinese but they are a multiracial cast and include an increasing number of Malay businessmen. Today, Dr Mahathir blames the Chinese for working hard and enjoying the fruits of their labour. He is envious of the Chinese middle and upper classes living in high end housing estates and owning the lion’s share of urban property. He himself lives in a gated community and is reputed to own numerous properties but he laments for the many Malays living in squatter houses. But who has been responsible for this situation? Dr Mahathir needs to look at himself in the mirror. He has squandered our petro dollars on his projects of superficial grandeur and his love of cronies, many of whom he has helped with expensive bailouts. He could have solved the plight of hundreds of thousands of squatters by using treasury funds on them instead of his pet projects. If he had invested the money wisely in skill acquisition for the young Malays and in public housing and urban infrastructure for all Malaysians, especially needy and deserving Malays, the racial economic divide will surely not be so conspicuous. Dr Mahathir still does not want to go away from the centre stage. He wants to remain in it because he knows that the BN has to maintain power if he is not to be made answerable for the racial, political and economic mess that he was responsible for and left behind as his main legacy. The extent of his desperation can be seen in his speeches aimed at shoring up Malay support by claiming that the Chinese are the real masters of Malaysia. But as the Malaysian saying goes, his talk has no walk! The prophets of old prophesied the birth of Jesus Christ years before it came to pass. It came when the nation of Israel was going through difficult times spiritually, socially and politically. Therefore, such prophecy was of great comfort to the people of Israel then, as it gave them hope that one day things would change through the coming of a “Light” giving hope to those living in darkness. From reading the gospel of John we learn that Jesus is that “Light”, when he said: “I have come into the world as a light, so that no one who believes in me should stay in darkness.” [John 12: 46]. The Bible talks about a man we all know now as John the Baptist who came as a witness to the coming of the Light, when the Bible said: “There came a man who was sent from God; his name was John. He came as a witness to testify concerning that light, so that through him all men might believe. He himself was not the light; he came only as a witness to the light. The true light that gives light to every man was coming into the world.” [John 1:6-9]. This Christmas season, I am compelled to share with you, my friends, a message of hope akin to the time and era when the prophecy of the birth of Jesus the Messiah was first uttered. The people of Sarawak and Malaysia have, for the past decades, been subject to oppression by political forces in ways both subtle and harsh. The judicial crisis in 1988 paved the way for suppression and control of our liberties and our well-being in every way imaginable, affecting us in all aspects of our lives – our civil liberties, freedom of association and beliefs, our economic opportunities and social interactions. We have embarrassingly acquired the reputation of being the top country for corruption according to Transparency International, and the 3rd in the world for illicit capital flight according to Global Financial Integrity. In Sarawak, the people have progressed little, having been governed by those who have no understanding of the plight of those who are sidelined and marginalized. Numerous Sarawakians are mired in poverty, many have lost their lands and livelihood to timber companies, plantation tycoons, dam builders and their political masters. A large proportion of the rural population have poor access to basic amenities such as water and electricity, healthcare and education, and the benefits of development. Sarawak, in spite of being rich in resources has the ignominy of being the 2nd poorest state in the country. Poor our people may be in material wealth, but we are rich in hope and faith. With hearts filled with hope in the promise of better times to come, we have been praying faithfully that we may be led out of the darkness and the tyranny of corruption, oppression and suppression. Sarawak entered her Jubilee year on 16 September 2012. For the Christians in Sarawak, this Jubilee year holds great significance, for the Jubilee addresses land and property rights. To the indigenous people of Sarawak, the land is their life. Many lives have been disrupted and destroyed with each timber licence issued, each plantation established and each dam built. This Jubilee year, we look for the fulfillment of the promise of release and restoration, of emancipation and social justice. Equality for those who are disenfranchised and marginalised will see God’s Providence for all, so the goods of the land are the common property of the people. In the face of the many challenges that confront us, we have reason to rejoice, for rays of light have penetrated through the darkness. We have seen wrongdoings of the ruling elite exposed by the work of friends such as Radio Free Sarawak and various NGOs. We have witnessed the awakening of the people to the abuses and excesses of those who purport to care for them. We have walked with those who have dared to stand up for their rights against the government that would bully them. Today, I rejoice with my Christian brothers and sisters as we celebrate this holy day. I am filled with a quiet joy and confident anticipation of the triumph to come in the New Year. The breakthrough promised by God is imminent; God is faithful to those who believe. 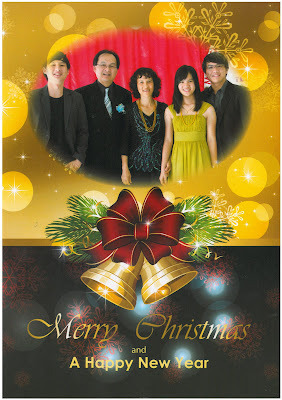 I wish all Sarawakians and all our friends throughout Malaysia and around the world a Blessed Christmas and a Happy New Year. Should betrayal of public trust be forgiven? We Missed Our Radio Free Sarawak! Just teach them in English! Can this be the end, BTN?